Stickers are 30 mm in diameter and are supplied 24 on a sheet, there is 6 stickers of each colour, blue, pink, green and yellow. 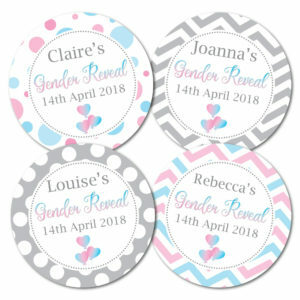 Colourful bunting designs. 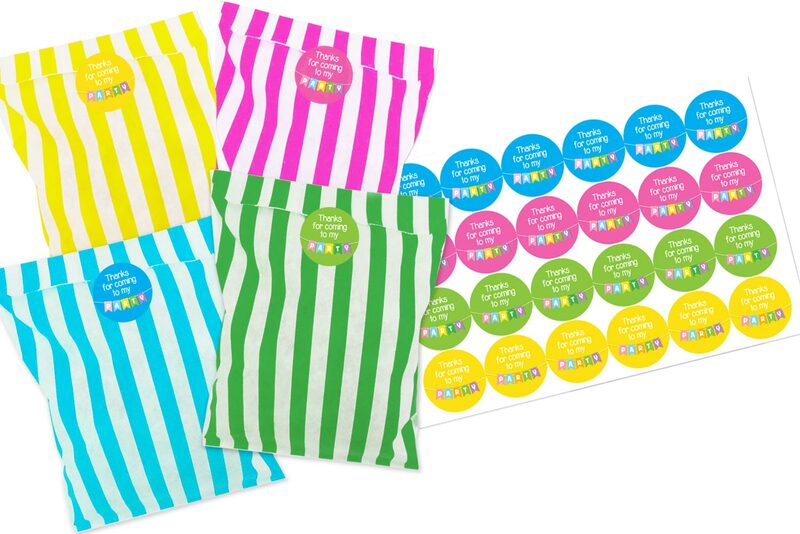 Bags are supplied in 4 colours, you will receive 6 blue & white striped, 6 pink & white, 6 green and white and 6 yellow and white. 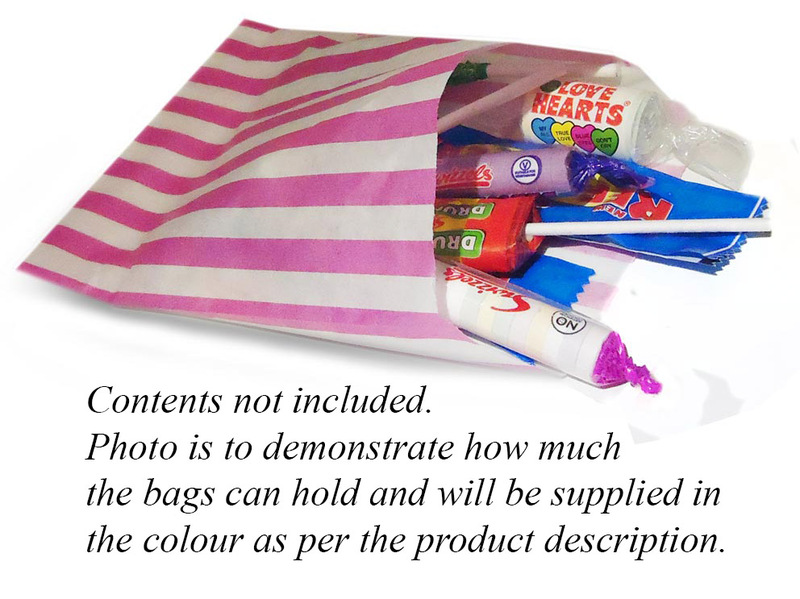 The bags are food safe and measure approx 5×7″ (12 x 18cm), great size for a piece of party cake, small gifts or sweets (as shown in picture). 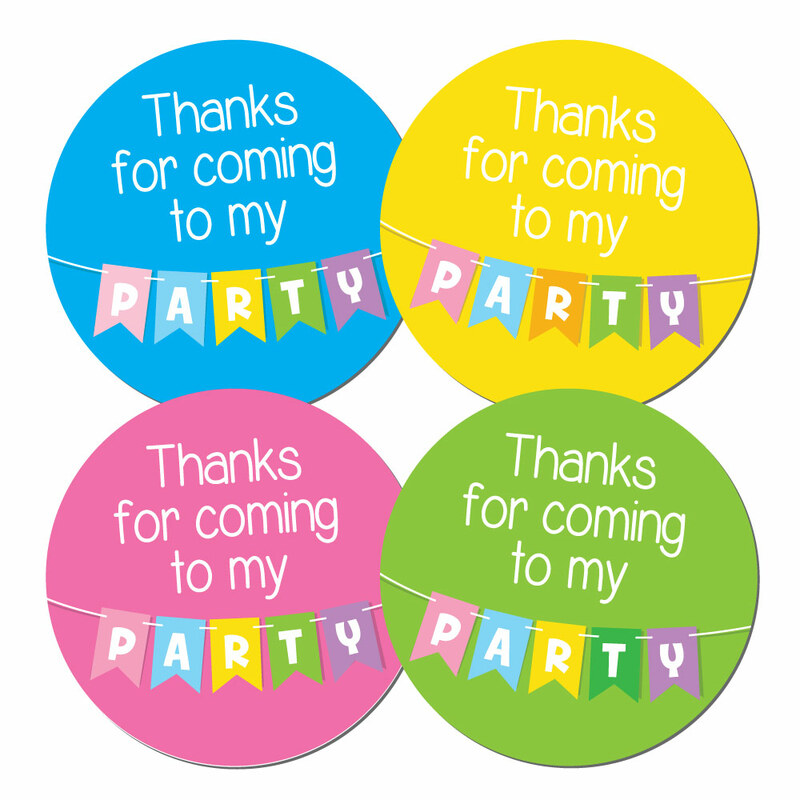 Great for children’s birthday parties.